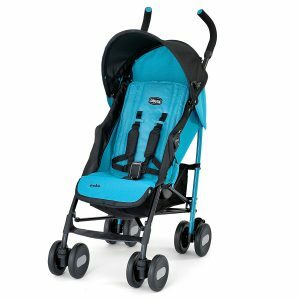 Recently, I borrowed a stroller from a good friend who has children because I’ve had such a good experience with the Stokke Xplory that I just had to try it out. She just happened to own the Stokke Crusi that comes with a sibling seat but the “double” option should really only be used occasionally. 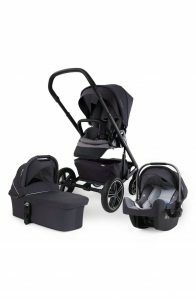 The Crusi actually has multiple features and it is considered a connection stroller that comes with an option sibling seat. 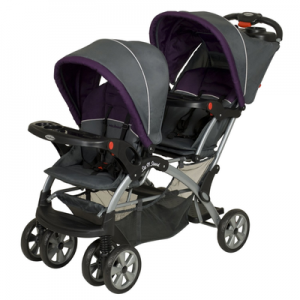 What I didn’t know is that connection strollers are designed to place your children very close to you which in turn stimulates development and bonding as well as increasing the feelings of comfort and security for child. Another awesome thing about the Crusi is that it will grow with your child. You can use it from birth and up. It also allows your child to face you or face the world and has 5 different seating positions from a high chair position all the way to a resting position. When it comes to setting up the stroller, it was super easy. Even being quite pregnant, I was able to assemble it without a lot of bending or having any issues just by following the graphics and manuals. When you first open the box, you just need to attach your wheels, which just click in place. Then your seat will just click into place as well. I actually love the fact that there is green indicator that will let you know if you attached the seat correctly. Another awesome thing about it is that you can fold this stroller flat to store it. It slides open easily but there isn’t a storage lock on the stroller. Your handlebar is completely adjustable and it can be retracted just by pressing a button. It also comes with a mosquito net and rain cover which are really easy to install as well when you need them and often times I do. I also love the fact that the Crusi is really easy and smooth to push, even on rough terrain. It is well balanced and safe as well as providing a nice ride to my little ones. I also love the wheel size and that this stroller is super easy to maneuver. 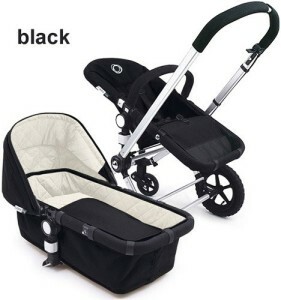 It has a bright colored brake that is easy to find and easy to use which will keep this stroller locked in place. You can also lock the front wheels just by sliding the locking button in the front. There is also a huge basket that you can use as a storage area when you are out and about. It is easy to access and it is a really big plus in my book to have plenty of extra space in the bottom. But there is one issue, whenever you are using the sibling seat, the basket can be hard to access because there is little to no room for storage. Over all, the Stokke Crusi is nice. 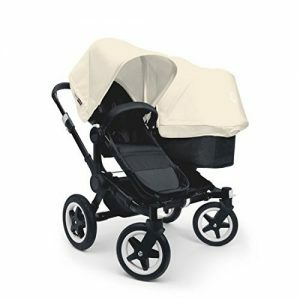 I like that is higher than other strollers and allows me to have that chance to connect with my little one just by seeing her face at all times. It looks very modern and well engineered. 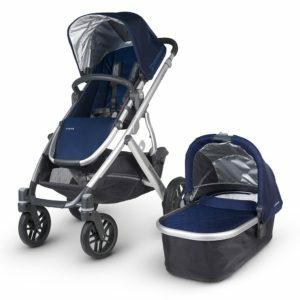 I definitely would recommend the Crusi to anyone who has more than one child who is still little enough to be in stroller. Not only is it lighter, it has plenty of storage and the sibling seat works quite well with toddlers.